Julius Lehrkind came to Bozeman in 1895, bought out the local Spieth and Krug brewery, and carried on the Bozeman Brewery name and business in the large new brewery he built in the northeastern corner of the city, a sparsely developed area located adjacent to the Northern Pacific Railroad facilities. His German heritage likely influenced his decision to locate the family home adjacent to his brewery, rather than in the rapidly developing residential districts on the south side. In the tradition of his native country, Lehrkind brought numerous members of his family into the business; the small, residential, family compound grew adjacent to the brewery between 1897 and 1912. The Genuine Lager Bozeman Brewery contributed to technological developments in the beer making industry. During the 1860s, lager breweries surpassed ale breweries in both number and production in the United States, With the introduction of mechanical refrigeration during the 1880s, lager brewery architecture took on its characteristic appearance. 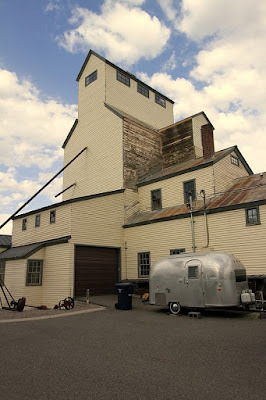 Typical of the period construction, enormous refrigeration rooms with cork-lined walls were constructed within the Bozeman Brewery building. Beer would be aged in the refrigeration rooms for 6 months. At full production, it turned out 40,000 barrels of beer annually. The malting plant where barley was treated prior to brewing had a 3 million-pound capacity. The historic district is composed of five historic buildings that are directly associated with the Julius Lehrkind family and the family-owned and -operated Bozeman Brewery business. The remains of the brewery, a four-story brick structure, stand at the north end of the district. Across the street is the one-story, brick bottling plant. To the south of the two industrial buildings is the Lehrkind family compound, consisting of the Queen Anne style Julius Lehrkind House, and two modest houses built a decade later. The Bozeman Brewery building, built in 1895, was the largest building in Bozeman until the construction of the Montana State University Field House in 1957. The present facade of the brewery building is asymmetrical and consists of an off-center entrance bay with three flanking, vertically fenestrated divisions to the south and five un-fenestrated divisions to the north. The sand improved drainage may have acted to cushion the building from the reverberations of the 1959 earthquake. Three water wells were dug beneath the brewery, one to a depth of 200 feet. Approximately 12,000 square feet of the brewery building was devoted to refrigeration rooms. The floors and walls of the refrigeration rooms have cork sandwiched between layers of concrete. The roof is flat and has four, large skylights. 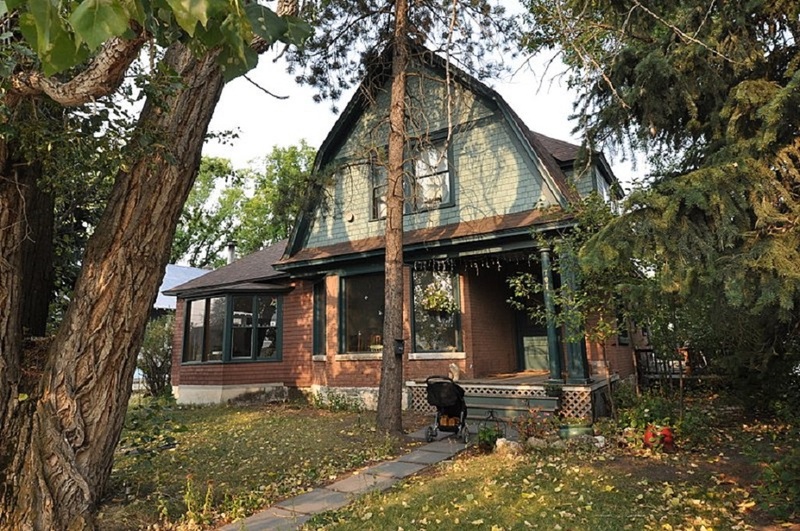 The Julius Lehrkind House is a two-and-one-half-story Queen Anne residence; built in 1898, forms the central focus of the district today. 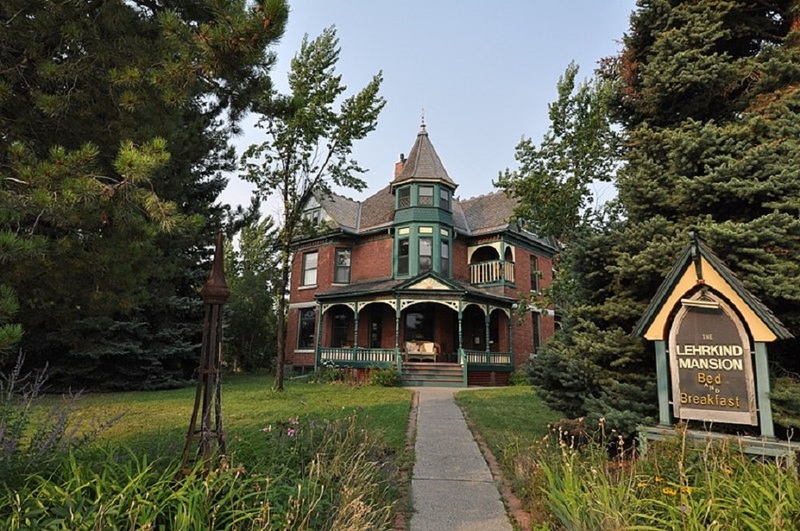 This well preserved, large, irregular plan, brick house responds to its corner lot location with a wrap-around porch set at the base of an octagonal corner turret and a corner, etched glass front entrance. The porch has arched wooden detailing and a decorative balustrade. The combination gable roof is covered with cedar shingles and features gable end decorative detailing in wood and a second story porchette with a gothic arch on one side and a Roman arch on the other. The Henpy Lehrkind House dates from 1908; is a one-and-one-half- story, clapboard-sided residence of an irregular plan with a cut-away corner entry. The two-bay facade is asymmetrical and consists of an offset, glass-pane front entrance. Windows are one-over-one double hung units and there is a bay ^indow on the front facade. The combination gambrel-hipped-gable roof is covered with brown asphalt shingles and features a hip- roofed dormer on the north elevation. The Edwin Lehrkind House was constructed in 1912. This one- and-one-half-story, gable-front, Bungalow style residence has a rectangular plan with a recessed stone porch across the front. The frame construction is finished with narrow reveal bevel siding to the window sill level, and alternating rows of wide and narrow reveal shingles above. Windows are one-over-one double hung units and the roof is covered with cedar shingles. During Prohibition, the family diverted their energies to the soft drink business with a one-story, brick bottling plant constructed in 1925. This commercial structure has an irregular plan with a diagonal corner entrance. 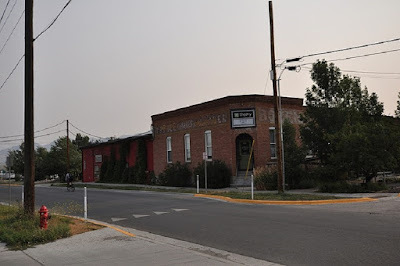 The buildings included within the Bozeman Brewery Historic District retain a high degree of historic architectural integrity, except the Brewery building itself, which has been reduced in size by the demolition of the eastern three bays and compromised by the construction of a two-story, concrete masonry unit addition in 1948. The brewery nevertheless retains sufficient historic architectural integrity to accurately recall its early function and remains an important, integral component of the historic district. The six residential and industrial buildings that compose this small historic district stand as a cohesive group that serve to reflect art important aspect of Bozeman 's historical development, industrial, social, and ethnic history.